Workforce. Talk to most any business owner, and the need for a prepared workforce is often the topic of conversation. The Governor’s Work Ethic Certificate Program aims to address this need by preparing students with the soft skills needed to succeed in the workplace. As the Work Ethic/Work Ready Coordinator at the New Castle Career Center, Todd York strives to inspire students to achieve the Governor’s Work Ethic Certification. The students that earn the certification demonstrate that they possess qualities of persistence, respectfulness, initiative, dependability, and efficiency. The Work Ethic/Work Ready program experienced exponential growth in the past year. During the 2017-18 school year, 858 students signed up for the program. During the 2018-19 school year, that number nearly doubled to 1,563 students. The Work Ethic/Work Ready serves the following school systems: Anderson Preparatory Academy, Blue River Valley, Charles A Beard, Eastern Hancock, Nettle Creek, New Castle, Shenandoah, South Henry, and Union. Requirements for the certification include community service hours, maintaining a cumulative GPA of 2.0 or higher, have no more than one discipline referral for a minor incident, and maintain 98% attendance and have no more than four times of arriving to school late or leaving early each year. The program is designated for students in grades 5 or 6 (depending on which is the highest grade in the elementary school), 8, and 12. Schools participating include Anderson Prep, Blue River Valley, Eastern Hancock, Hagerstown, Knightstown, New Castle Community Schools, Shenandoah, Tri, and Union. Most students sign up for the program, but only about a third receive the distinction. The award is especially valuable for seniors who are entering the workforce following graduation or even looking for summer work before heading to post-secondary training. All grade 12 students who receive the distinction are entered into a database which is available to area employers who are registered through the Work Ethic Certification program. These employer partners have agreed to give students with the Work Ethic endorsement one or more of the following benefits: guaranteed job interview, applicant pool preference, tuition reimbursement, flexible scheduling, sign-on bonus, increased base pay, or professional mentoring opportunities. 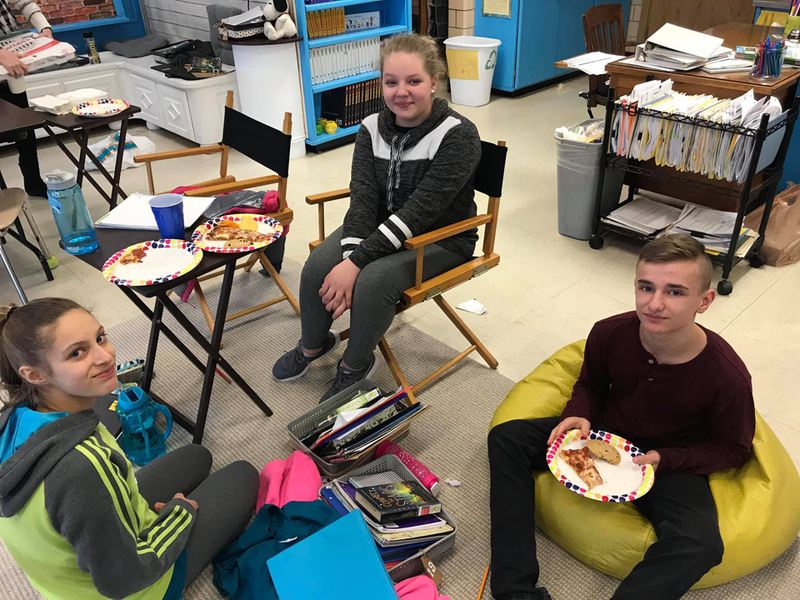 In addition to the endorsement, students at all levels are motivated by the mid-year pizza party for those eligible at that point. This incentive is supported by the Henry County Community Foundation.